Show off your apparel with style! 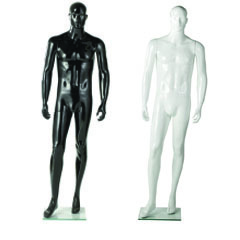 This molded fiberglass mannequin is lightweight and sturdy. Includes a 1/4 in. tempered glass base. Easy to dress with removable leg, torso, and arms.